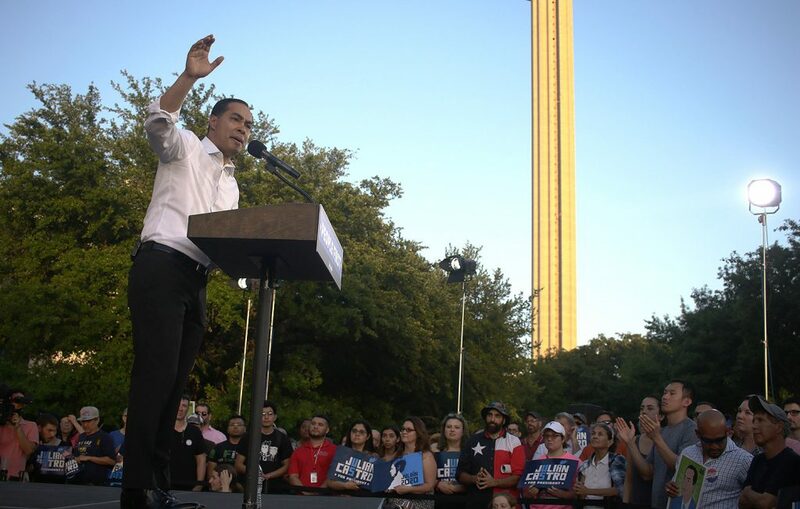 Leading the counter protest and rally was Democratic presidential hopeful and former San Antonio mayor Julián Castro. Despite being one of the hottest days in months, the crowd packed in under the baking sun excited to hear from the San Antonio native. Castro supporters, and Castro himself, addressed with fury and frustration the Trump administration’s immigration policies, which Trump opined on during the event at The Argyle Club in Alamo Heights. “We’re going to choose compassion, not cruelty,” Castro told the crowd when speaking on immigration. 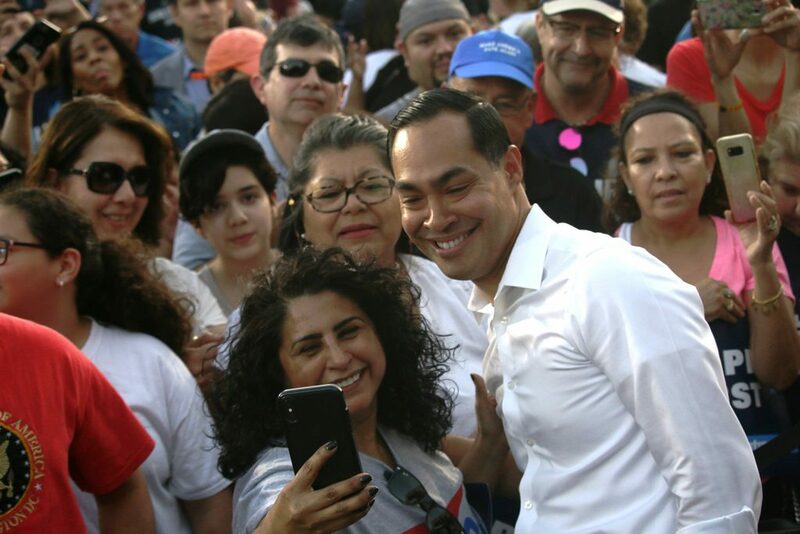 Castro also reflected on his grandmother’s story of coming to the U.S., and inserted some anecdotes about his upbringing on San Antonio’s West Side, which gained an ovation from the crowd each time. 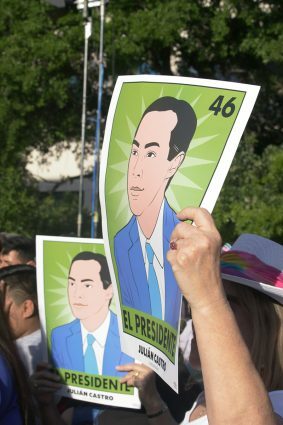 Attendees held up loteria cards with Castro’s image, and other posters. In the last couple minutes of his speech, Castro faced the elephant in the room—or, on the plaza, if you will—concerning his campaign. “Some people have said, ‘Well, you know you’re not a frontrunner,’ and I tell them, I wasn’t born a front runner,” he said, a talking point he’s used repeatedly. After the rally, they stuck around to greet Castro, and they asked him to sign posters, take selfies, pray, or shake hands with them for a few minutes.